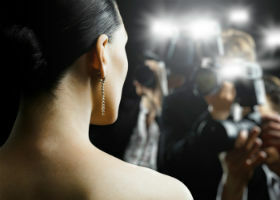 Celebrities' estate planning mistakes, all easily avoidable, have cost their heirs millions of dollars. It’s easy to see the wealthy and famous celebrities as having it all — including a team of attorneys and estate planners to make sure their multimillion-dollar estates are well cared for. But lately there have been a series of stories of actors and athletes who cost their heirs millions of dollars through easily avoidable estate planning mistakes. Considered possibly the greatest actor of his generation, Hoffman died tragically at the age of 46, leaving behind a partner (they never legally married) and three small children, as well as an estate worth roughly $35 million. But Hoffman made two grievous errors that will end up costing the family he left behind millions. First, if Hoffman and his partner, the actress Mimi O’Donnell, had gotten married, she would have been legally entitled to the entirety of his estate without worrying about estate tax. All of his assets would have passed to her free and clear. O’Donnell was mentioned in Hoffman’s will, but without the spousal exemption, she could be subject to as much as $15 million in estate taxes. It would be possible for O’Donnell to create trusts for all three of the children – passing assets to them outside of the estate, and mitigating the estate tax. But it will be much trickier for the two who were left out of the will. The Sopranos star died last June. His will made sure to provide for both his young daughter and his sisters, leaving 80 percent of his estate to them, and just 20 percent to his wife, Deborah Lin. His son was provided for thanks to a life insurance policy, the assets of which went into a trust upon the actor’s death. But the 80 percent of Gandolfini’s $80 million estate that did not go to his wife ended up subject to estate taxes. The estate may have paid as much as $30 million in estate taxes. The trust for Gandolfini’s infant daughter, Liliana, who was just nine months old when her father died, establishes that she receives her entire inheritance the day she turns 21. Liliana will probably not even be graduated from college then; Gandolfini may have been better off setting up a lifetime trust, which would gradually phase in her inheritance. Lessons: The spouse is the only person who gets the automatic estate tax exemption. When considering leaving assets to other family members, especially children, it’s worth figuring out if it makes sense to pass them through the surviving spouse first. The onetime NFL Pro Bowl quarterback hasn’t played in the league since 2011, but he had made roughly $30 million over the course of his six-year career. Unlike Gandolfini and Hoffman, Young is still alive, but he has managed to squander his assets — he declared bankruptcy on the last day of January — in a manner that could have been avoided with prudent estate planning. One cause of Young’s problems was a loan he sought during the NFL lockout in 2011. Young thought his financial advisor was securing him $1.8 million but now claims he never got the money, even though lenders are seeking repayment of a sum that has now grown to $2.5 million. An irrevocable trust for some of Young’s millions would have helped shield his assets from the demands of creditors. Such a trust also would have provided some forced savings for Young, who clearly needed more discipline in his financial life. Lessons: It’s never too soon to establish an estate plan, especially for people, like professional athletes, who come into money early. Protecting assets is not an end-of-life strategy; it’s something that takes place over a lifetime.